When running ads on a tight budget or when time isn’t something you have much of, chances are you’re going to focus on 1-2 platforms to drive traffic to your website. Knowing which types of ads to use or how much to allocate each ad channel can be confusing to say the least. To help you get rid of the confusion, I’m going to reveal some key metrics on Google Analytics you should measure to find the best paid traffic source to use for your business. Prospects who leave your website immediately have no interest in your content and the CPC was worthless. Facebook traffic has a 10% lower bounce rate than Twitter suggesting that Facebook is a more valuable traffic source to drive engaged visitors. Average session duration is the amount of time a user spends on your website. The longer a prospect spends on your website the more likely they are to make the intended action. 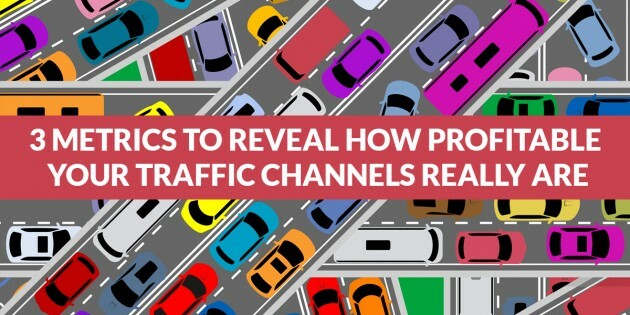 Look into which channels keep paid traffic on your website the longest. Keep in mind that the quality of your landing pages and ad copies will somewhat affect the overall average session duration. A rather obvious metric to monitor is goal completions. I don’t need to tell you that you should invest more ad spend on platforms that have better goal conversion rates. What I do need to tell you is to take your goal completion rate with a pinch of salt. A prospect may have viewed your advert originally on Facebook while at work, and when they got home they Googled your business, clicked on your PPC ad for your branded keyword and then placed an order. Google Analytics only measures the last point of contact which in the example above was your PPC ad, where in reality they made their mind after seeing your Facebook ad. Goal conversion is a big metric to monitor to reduce your customer acquisition cost, but do keep in mind that it doesn’t reveal the whole truth and you should also be tracking conversions on the platforms you serve ads. Don’t assume that Facebook is a terrible platform to advertise your business if your bounce rate is 97% with an average session duration of 6 seconds. Your advert copy, audience targeting and landing pages will all have a direct impact on all 3 metrics above. Google and Facebook score your ads out of 10 to give you an idea on how they are performing. If your landing page is performing poorly on more than one platform there’s a good chance your advert copy and landing page needs reworking than the networks not being profitable. Once you measure how prospects from various platforms interact with your website, you’ll have a clearer understanding on which mediums you should spend more time on and ways to reduce your customer acquisition cost. The cheaper it is for you to acquire customers the faster you’ll be able to scale your business.